Halloween is almost here and there are a TON of fun Halloween-inspired events happening in and around Boulder this weekend! TONIGHT in Central Park, take the kids to see Hocus Pocus. This weekend take your pick of activities including pumpkin carving, halloween parties and fall festivals! Blue has teamed up with the City of Boulder, Boulder Beer, KGNU and the Boulder Weekly to bring back Cult Classics at Central Park– a series of three cult classic movies to be shown at Central Park the first three Fridays in October. We’ll have a beer garden from Boulder Beer with proceeds benefiting The Blue Foundation and KGNU, food trucks There will also be food trucks, so come hungry and support local businesses. Tonight, Friday, October 20, the movie will be Hocus Pocus! The venue opens at 6:30 p.m. with the movie starting around dusk. Be sure to bring your blankets & chairs to enjoy these FREE movie events. For more information, call 303.413.7200 or visit www.BoulderCultClassics.com. Halloween is coming early to CU’s Kappa Kappa Gamma house. Bring your little goblin or witch and raise money for our BoulderReads literacy program! Fun crafts, games and trick or treating in a kid-friendly Halloween atmosphere. Don’t forget your costume and trick or treat bag! Liqwood Board Sports will once again be hosting Trucks and Treats, where we skate hard, have a blast, and collect food to donate to Sister Carmen Community Center in Lafayette. Costume contest and slide jam with great prizes! Food for sale with proceeds going towards the donation to Sister Carmen. There will also be ramps, rollers, and banked turns to spice up the day! Check out the Orchard Town Center‘s Annual Halloween Celebration! It all begins at the Town Center Square at 11am to trade your non-perishable food donation for an Orchard Trick or Treat bag with fun surprises inside (while supplies last). Hang out and play some games, win some prizes and dance to family-friendly Halloween music! Then start your trick or treat journey through The Orchard. Participating stores with candy will have a balloon bouquet at their front door. 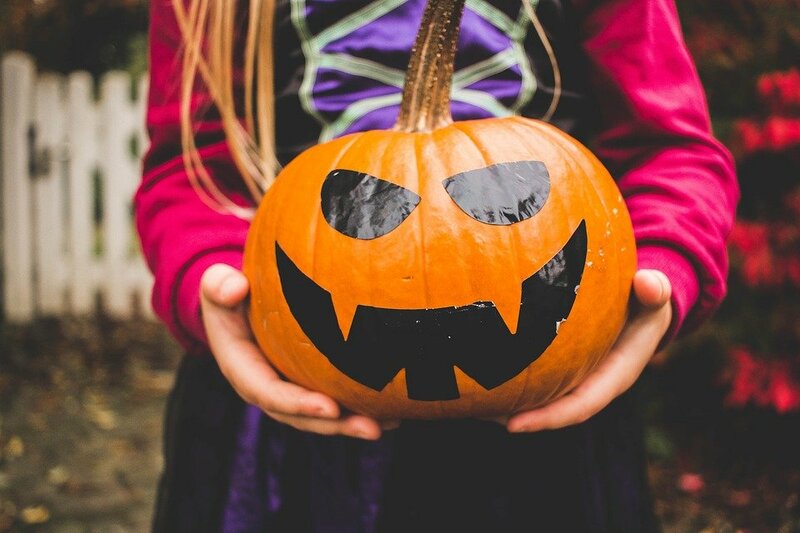 The first 200 kids will receive a free mini-pumpkin to decorate! Plus, free face painting, balloons, Halloween games and prizes, characters, photo opps and more. Bring your furry friend and enter them into the pet parade and costume contest! Sign-up opens at 11am, contest at Noon. Please note that children over the age of 12 and adults are not permitted to wear face masks at The Orchard. All food donations benefit Food Bank of The Rockies. Who’s got the Halloween party of the year planned? Color Me Mine! And it’s gonna be SPOOKtacular! Send your kiddos to Color Me Mine’s Halloween Kids Night Out for painting, costumes, food, friends, and NO PARENTS! For details and to register, click here. Join Next Door American Eatery in Longmont for pumpkin carving on our patio! They will have a pumpkin + carving kit for you, and will take care of the mess.